What are our elected officials up to in Washington? Many of us follow the big issues going on in Congress that we see on the news – the Supreme Court nomination, tariffs, the Mueller investigation, etc. But what about all the other things being discussed there? 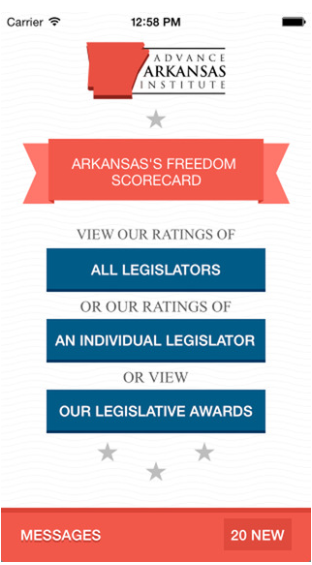 Like every other member of Congress, the members of the Arkansas congressional delegation focus on many things besides the ones that make headlines. We often don’t pay attention to them, however. One way to examine what these members of Congress view as a high priority is to look at the legislation they have sponsored or co-sponsored. I will be publishing a series of blog posts over the next two weeks that highlights some of these bills. 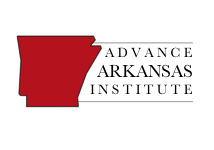 I hope that this series will give you a better idea of what Arkansas’s federal officials are working on. 1339 – the “Liberty through Strength Act” would make it easier for intelligence agencies to collect information. One provision would allow the FBI director to request data (though not the content of communications) without a warrant from telecom companies if it was relevant to an authorized investigation of international terrorism. 656 – this bill would require a periodic review of some individuals receiving payments under Social Security Disability Insurance with the goal that some could return to work. It would also set up a new classification system so that those whose disability may improve over time would receive time-limited payments. It would also allow some beneficiaries to have adjusted payments that would encourage them to return to the workforce. 354 – this bill would end the diversity lottery for immigrants; cap the number of refugees allowed into the U.S. at 50,000; limit who could be considered “immediate family” for immigration purposes; and reduce the number of family-sponsored immigrants. 1967 – a bill to remove the tax, or penalty, on individuals who do not purchase health insurance as mandated by Obamacare. It also removes some restrictions imposed by that legislation on health savings accounts. 1435 – this bill would allow veterans who served overseas prior to 1968 and acquired a firearm to have an amnesty period where they could register that gun with the federal government. Their family members would have that amnesty, too. Essentially this would allow a service member who acquired a firearm from a military conflict overseas prior to 1968 to keep that firearm as long as he or she registered it. 1620 – this bill is designed to improve military relations with China by re-instituting military officer exchange programs and re-starting the transfer of military equipment to Taiwan. The bill would also re-establish regular ports of call for the U.S. Navy in Taiwan. As you can see, Senator Cotton is very focused on immigration and national security issues. This is no surprise since he has cultivated a national profile on these issues. However, he does go well beyond these issues by proposing reforms to the nation’s disability system as well as working to improve one of the most egregious provisions of Obamacare. Tomorrow I’ll have a lock at the bills put forward by Sen.